Namaste dear readers!! Hope you all had wonderful weekend. So what are you planning to do next weekend? Let me suggest you something.....try this quick & easy DIY - blooming dry branch. 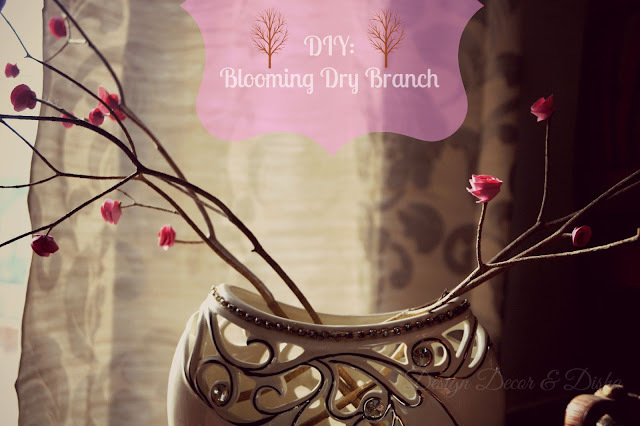 Yes you heard it right, a blooming dry branch!! 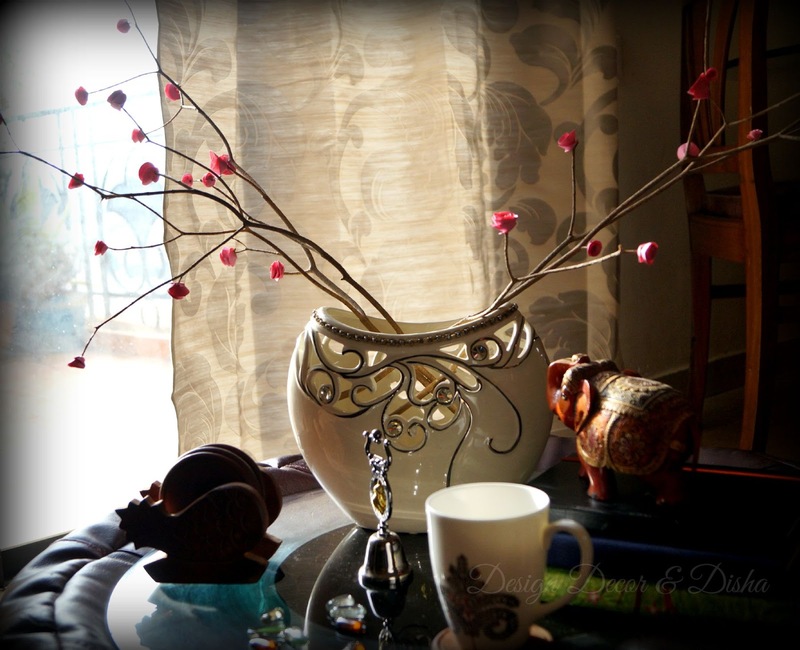 I pruned some of my plants that were growing wild in my balcony garden and there I found few dry branches. The moment they fell off the plant, I knew it that they will going to make a gorgeous center piece on my coffee table. Doesn't this blooming dry branch look outstanding. And let me tell you the DIY is super easy, can be completed in just four steps. Let's get started without much ado. Gather all these supplies, which I know are easily available in any household. 1. Now either using compass(geometry tool) or using cap/lid of any container, draw circles of different radius on the craft paper of your choice of colour. 2. Cut out all the circles then draw spiral on each circle with pencil. Now cut along the drawn line. 3. Using quilling needle/toothpick roll the craft paper until you reach the end. 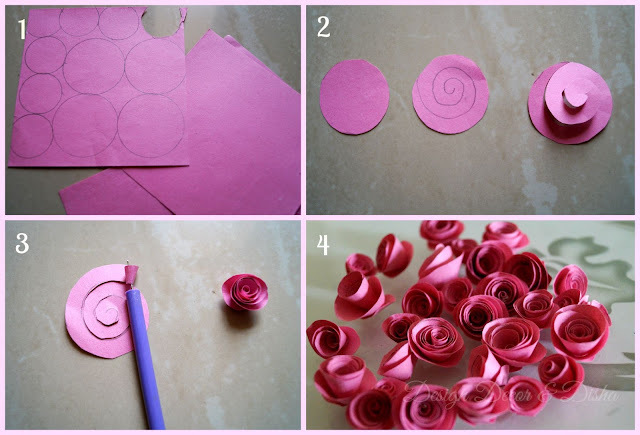 The center part of the paper will serve as a base to stick the rolled flower on it. Gently take out the needle and glue the end. Paper rose is ready. 4. 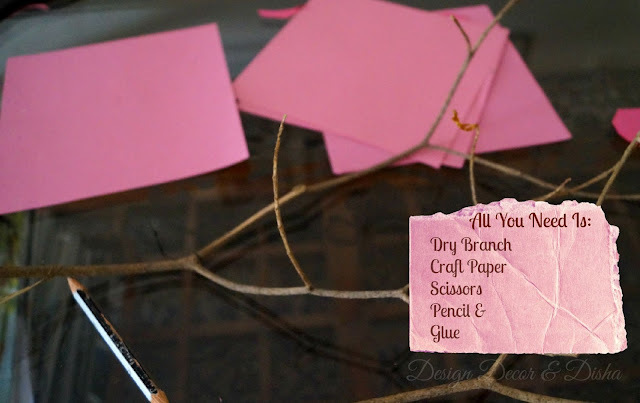 Make as many roses as you want to stick on dry branch. 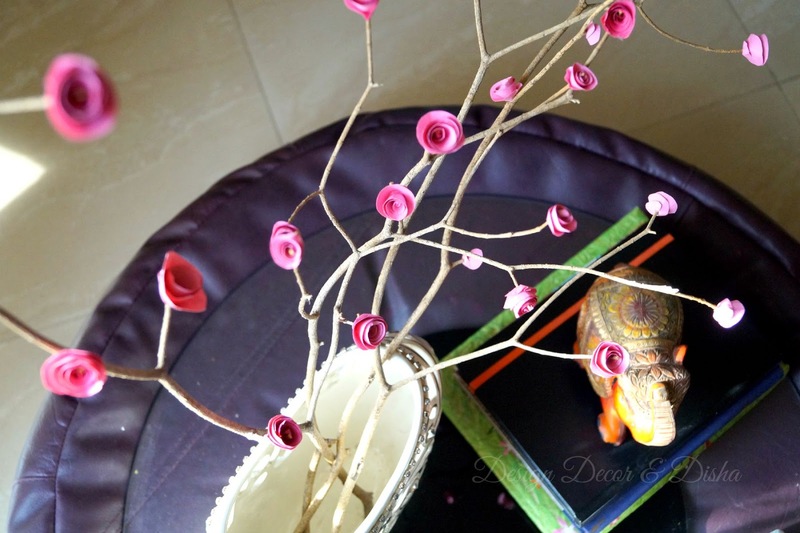 Make a tiny hole at the base of each flower, put a drop of glue and then stick it on the branch. Blooming dry branch is ready. 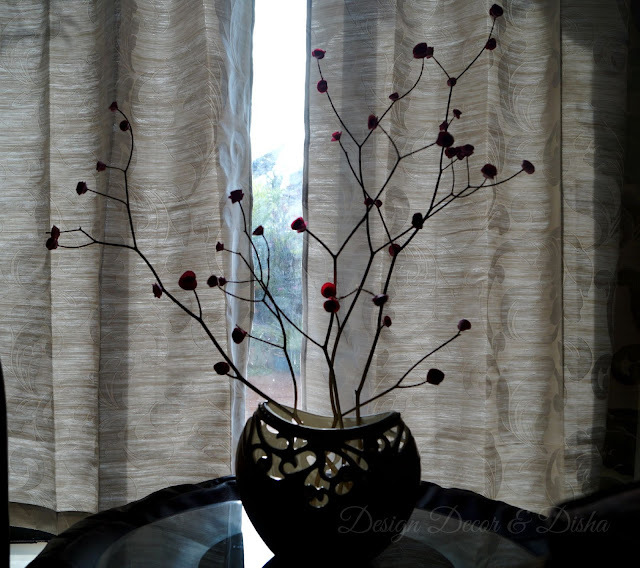 I am so excited to show you how this simple and easy DIY has enhanced the look of my living room. And I am so sure that many of you will definitely going to try this DIY. Check out the swirls, they make flowers look pretty natural. Hey! 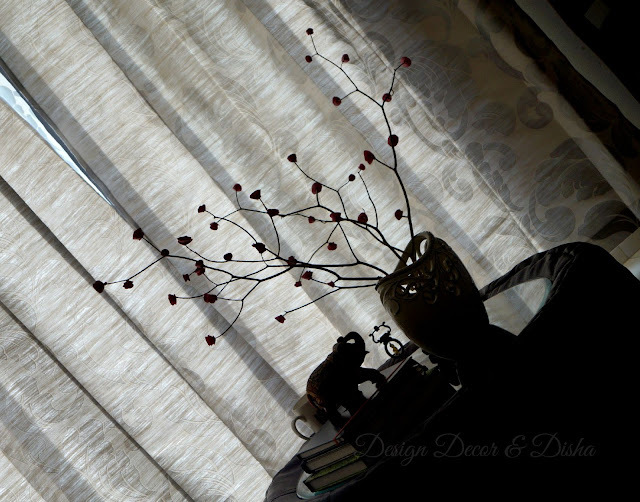 by the way did you notice my recent purchase, my curtains in the backdrop in above images. They are gorgeous and of supreme quality and you know what, I didn't even step out of my house to buy them. Watch out this space to know more about this hassle free shopping experience and some more images of my home. Click here to check out all the previous DIY ideas!! Have a lovely week ahead!! P.S - All images are clicked by me and subject to copyright. Please seek permission before using them.